Batelco, a leading digital solutions provider in Bahrain, and Cisco, a worldwide leader in IT and networking, have partnered to be the Platinum sponsors of the ongoing Meet ICT conference in the kingdom. The summit concludes tomorrow (March 21) at the Gulf Convention Centre. A number of Batelco officials were in attendance at the opening ceremony including Batelco general manager Enterprise Division Abderrahmane Mounir, who addressed the gathering and gave an overview about Batelco’s Tier III Data Centre. Mounir said that Batelco was very pleased to support the annual Meet ICT Conference, which has become a firmly established event due to the calibre of its content and the level of participants that it attracts to avail of the opportunity to share and exchange ideas and experiences. 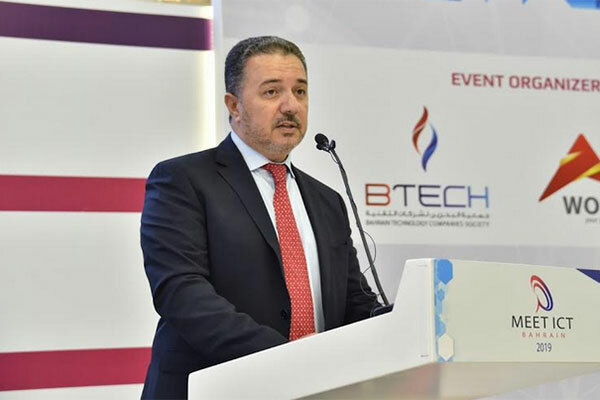 “Through the sponsorship of this event, which promotes digititization and the advancement of technology, Batelco underscores its commitment towards providing its customers with the latest products and services, further highlighting Batelco’s integral role in the telecommunication and ICT industry and its contribution towards supporting the growth of the economy and positioning the Kingdom as a regional hub for technology,” he said.